The pika is generally acknowledged as an adorable creature. Beyond its native cuteness, it is a herbivore and so is appealing because it feeds on nothing but plants. 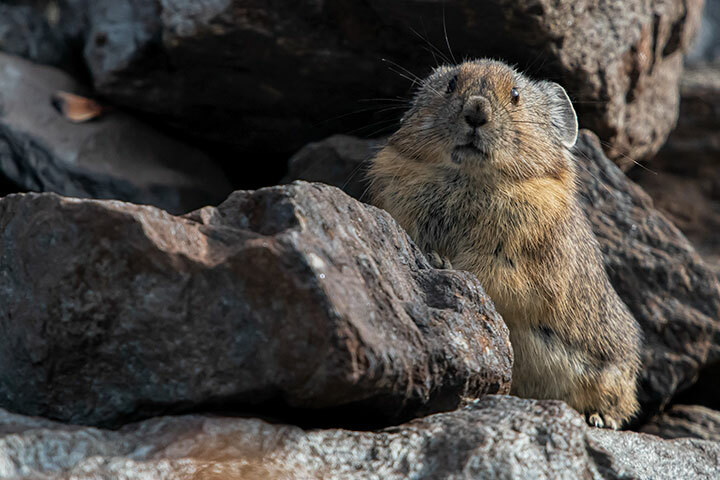 Yesterday, I revisited the pika colony discussed earlier. Snow had fallen and the pikas obviously struggled with snow having cut off access to food. Yet, a much greater threat than a seasonal change beset them. 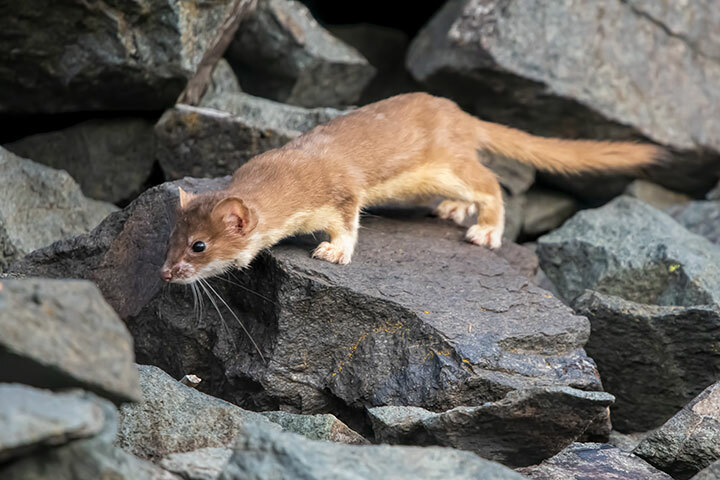 They had to face a new, and effective, predator: a long-tailed weasel. 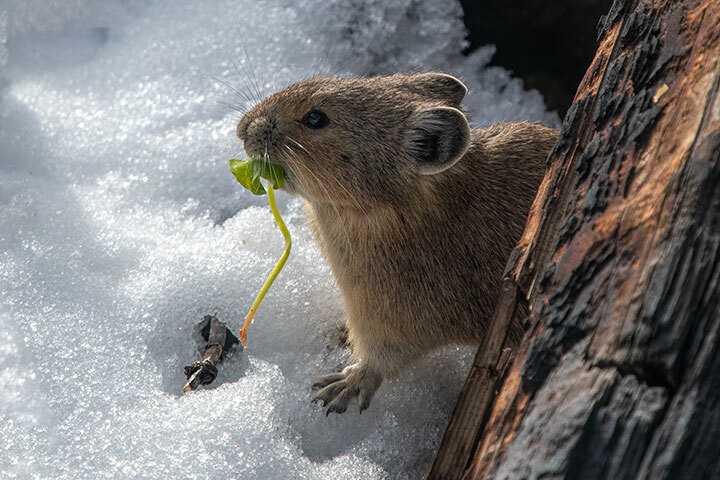 A pika forages for vegetative delectables in the snow. 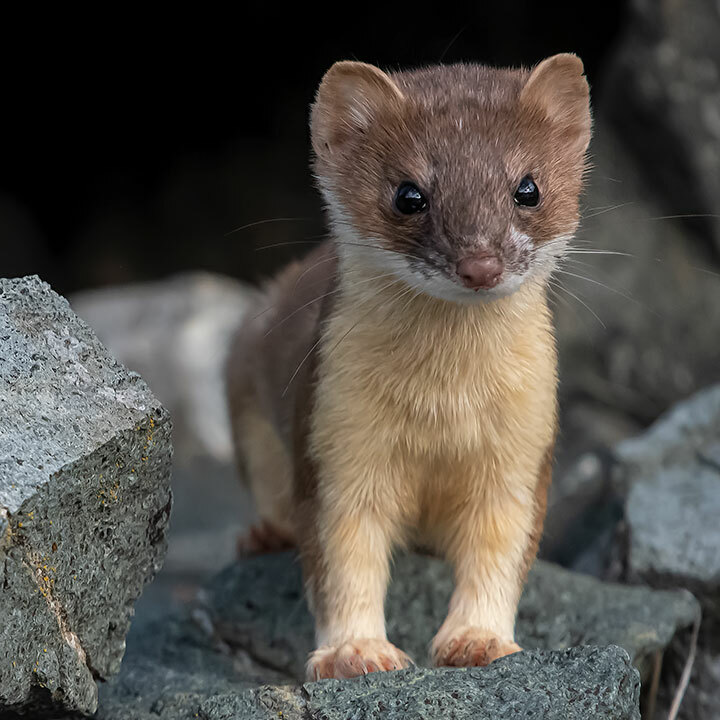 A long-tailed weasel moved into the pika colony. Its slim body enabled it to enter the cavities between the rocks where pikas lived. The weasel arrived and began to prowl for comestibles. No matter how nice there is something out to get you. 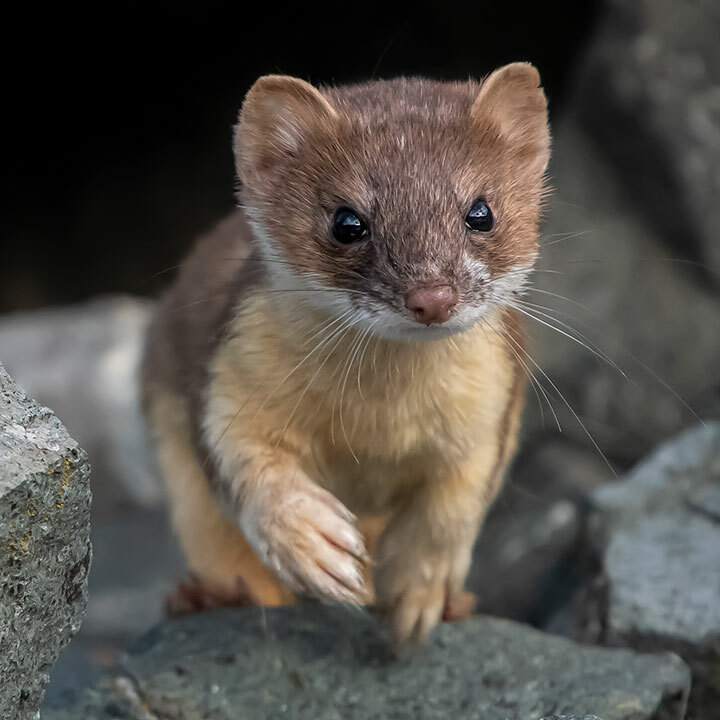 Lovely photos of the weasel, good luck or good planning? Love your blog Alistair.